This course will give you valuable key life skills enabling you to cook and make informed choices about what and how well you are eating. 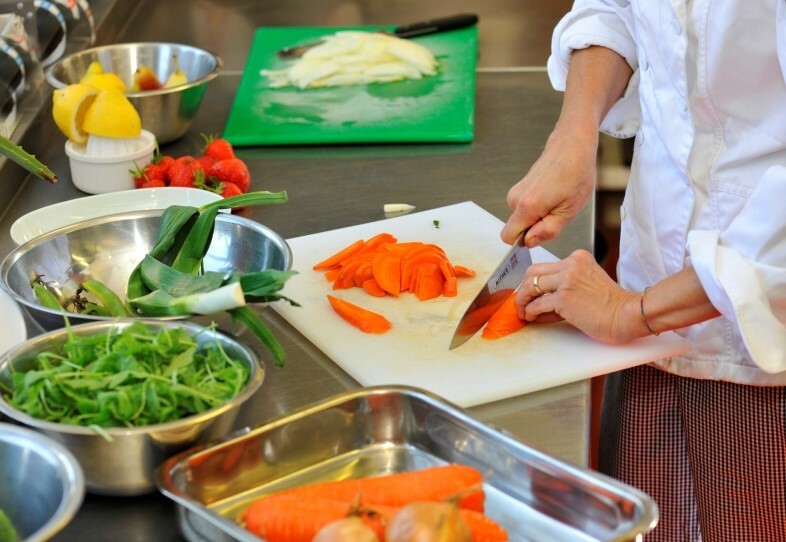 During the course you will be given the opportunity to practise a wide range of skills along with having a greater understanding of nutrition, the science behind food as a material and wider environmental aspects associated with food. Who will this course suit? Food science investigation. This will take 10 hours and is worth 15% of the GCSE. The exam board will set the task in September of year 11. Food preparation assessment. This is worth 35% of the GCSE. Students will have to plan, prepare, cook and present a final menu of 3 dishes with a theme that is set by the exam board. Written theory Exam. This will last 1hr 45 minutes and is worth 50% of the final GCSE. The 1st section consists of 20 multiple choice questions. There are 5 further questions with sub questions. What will this qualification lead to? The Food Industry is one of the world’s fastest growing industries with employment reaching the heights of 650,000 people and an annual turnover of £66 billion. The opportunities to work within the food industry really are endless…from Kitchen porter through to Michelin Star Chef, Sports Nutritionist or Food Scientist. The food industry contains many multinational companies and opportunities for travel or work abroad exist for those who wish to spread their wings. There are also a large variety of courses and apprenticeships available locally and in partnership with PETROC.